An Algerian soldier pays his farewells to his wife and daughter. 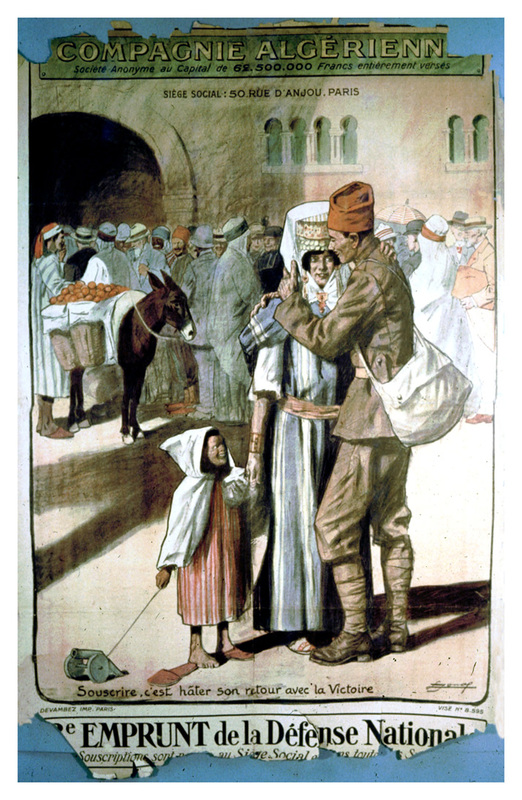 Poster Text: COMPAGNIE ALGERIENNE / . . . / SOUSCRITE C'EST HATER SON RETOUR AVEC LA VICTORIE / 3E EMPRUNT DE LA DEFENSE NATIONALE / . . . [The Algerian Company? Subscribe to hasten his return with victory--3rd National Defense Loan? ].